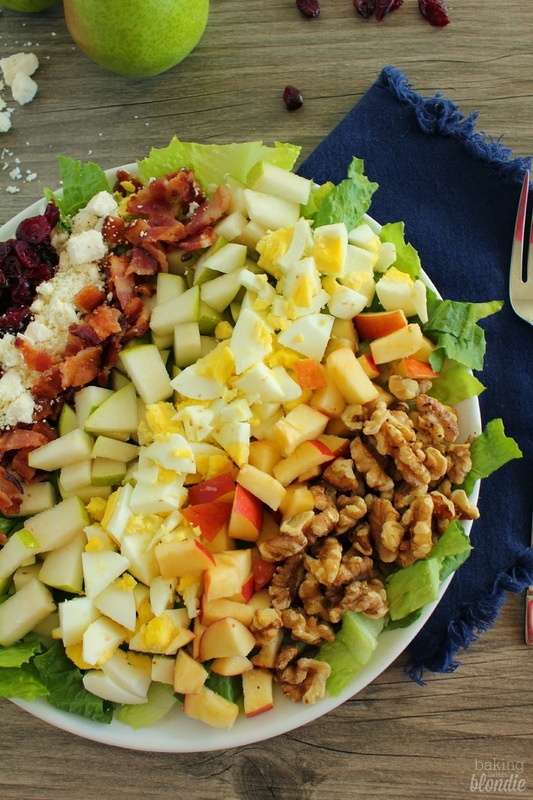 To assemble the salad, place desired amount of spinach in large bowls; top with arranged rows of eggs, apple, pear, pecans, cranberries and goat cheese. Serves two. Dressing: whisk together the remaining ingredients [olive oil, vinegar, mustard, and honey] and pour over two salads.